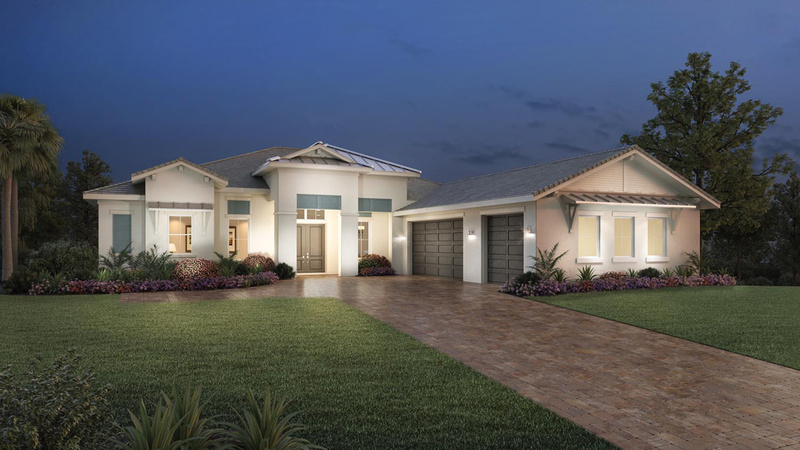 Expansive indoor and outdoor lifestyle. 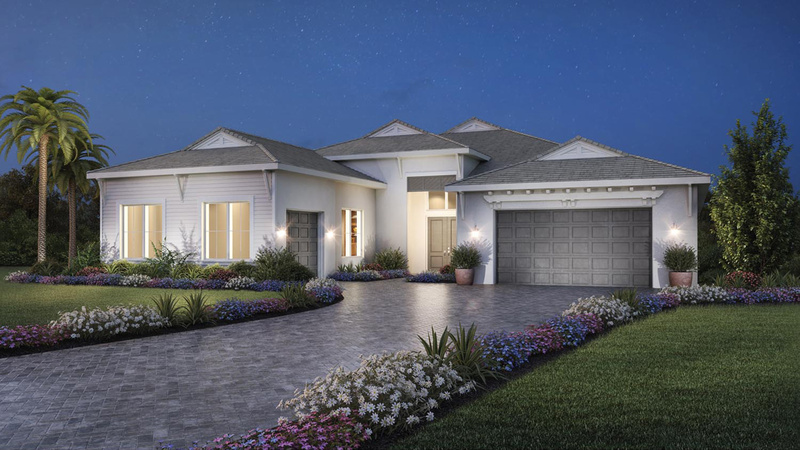 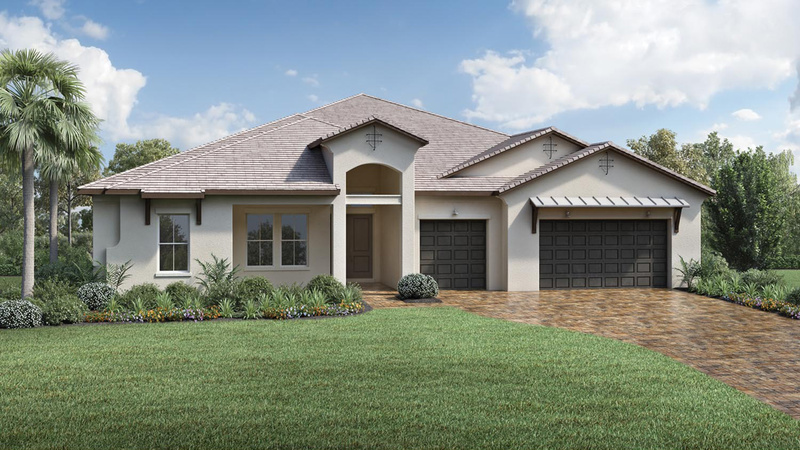 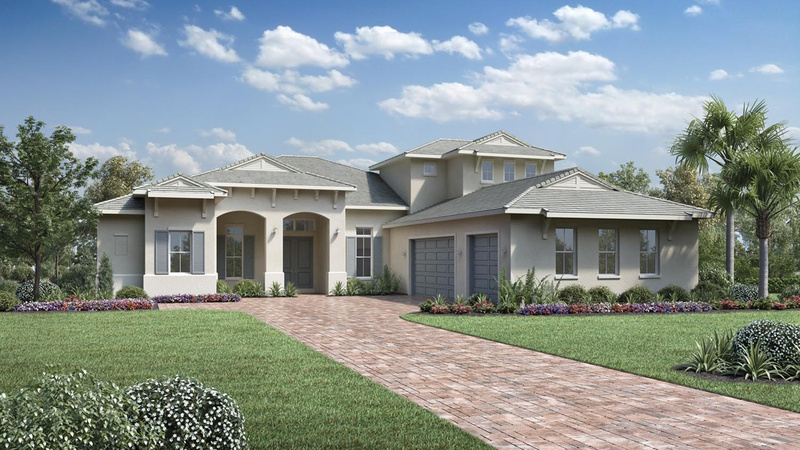 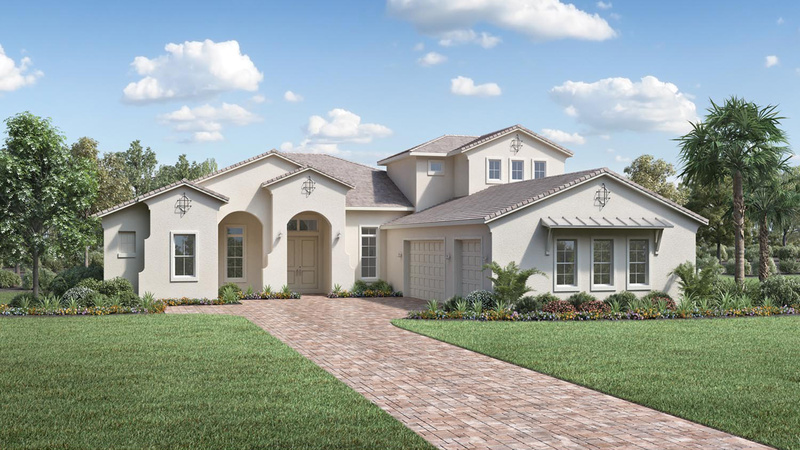 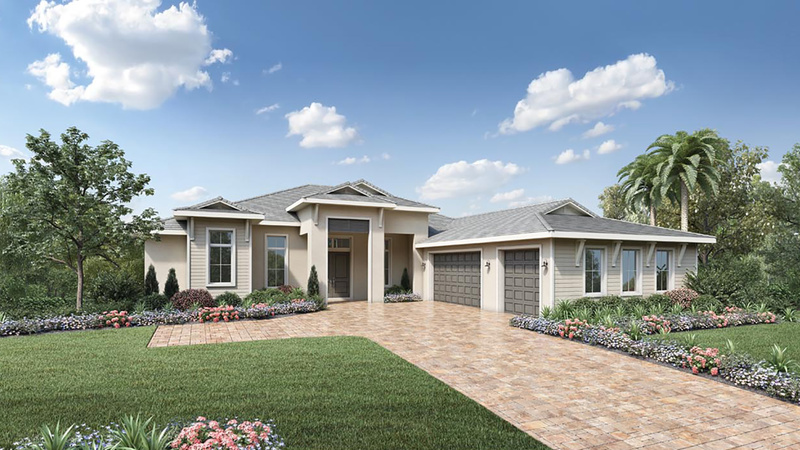 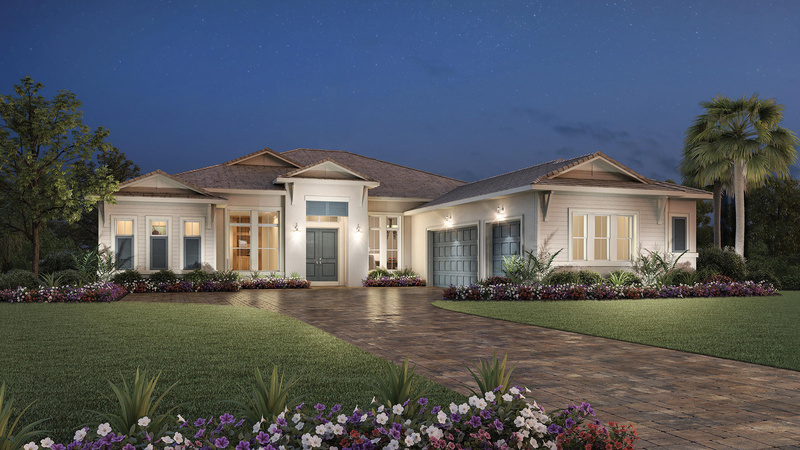 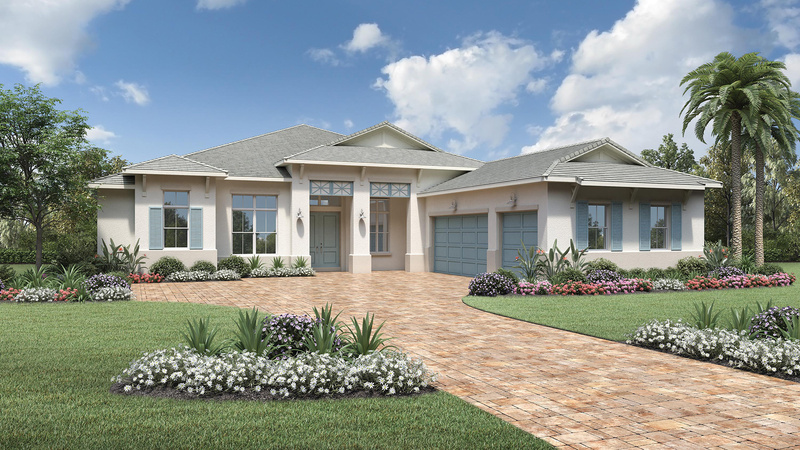 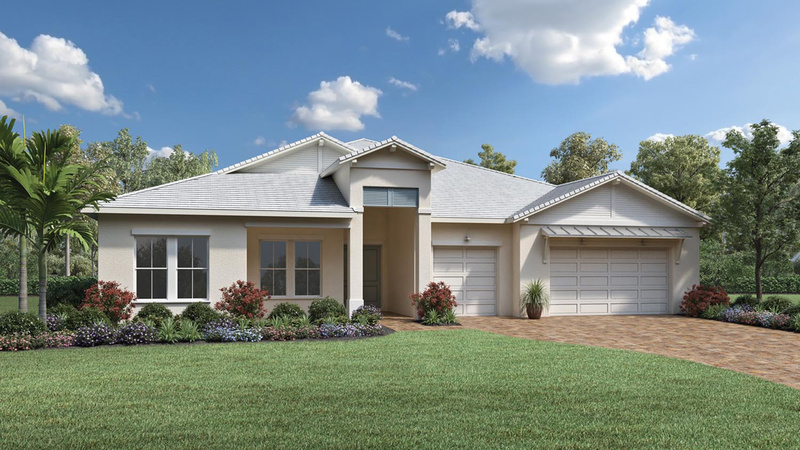 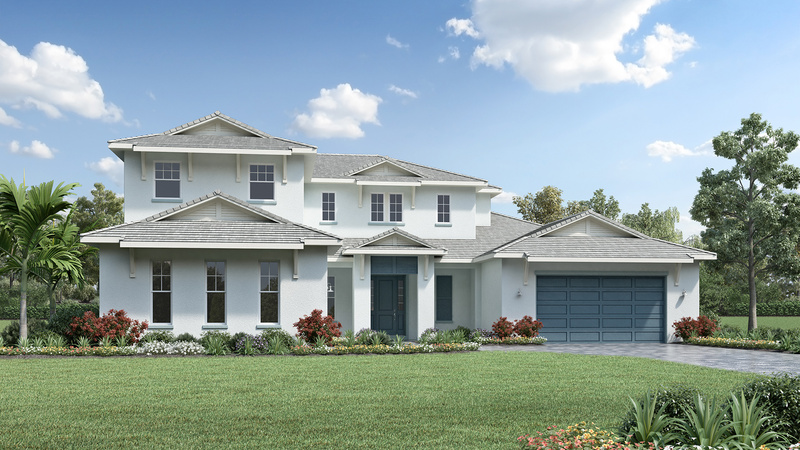 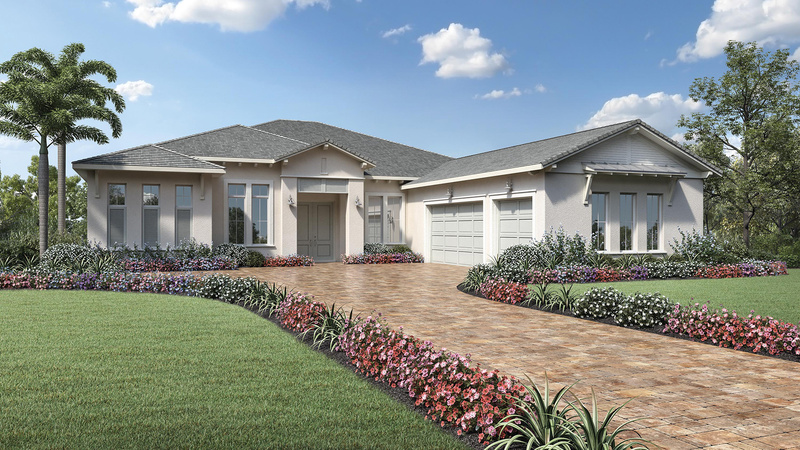 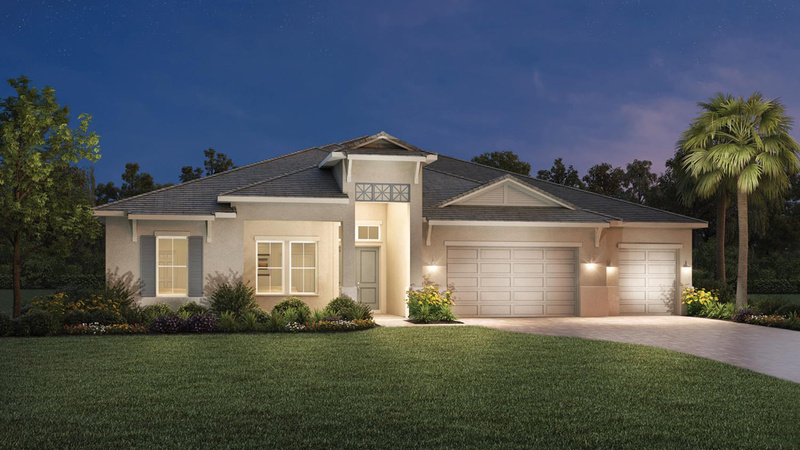 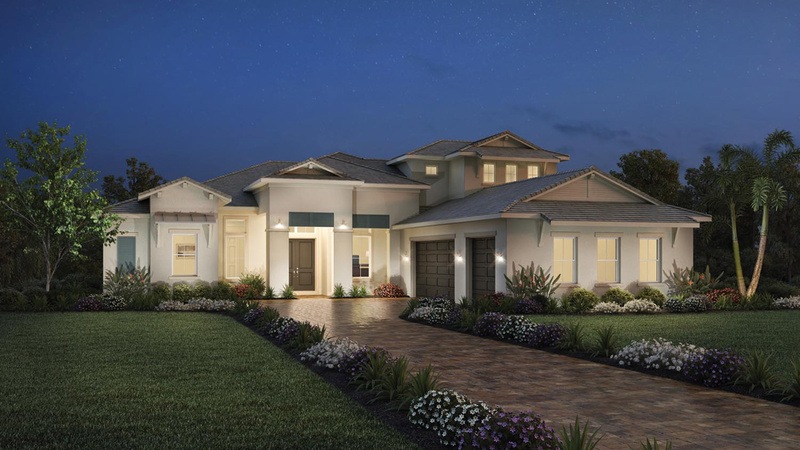 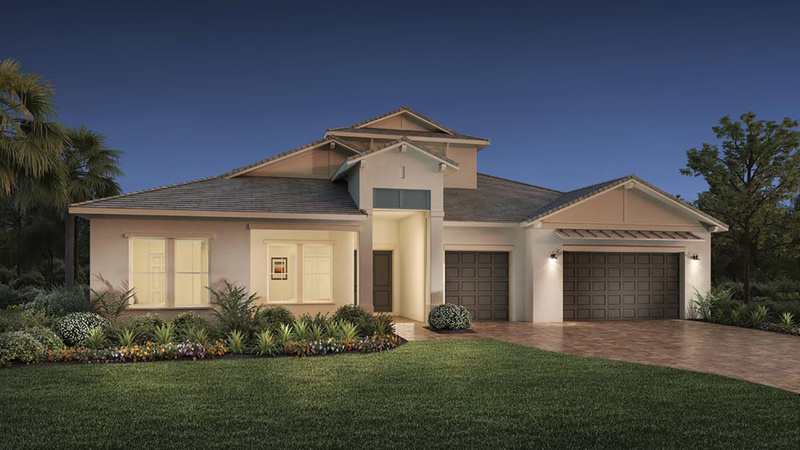 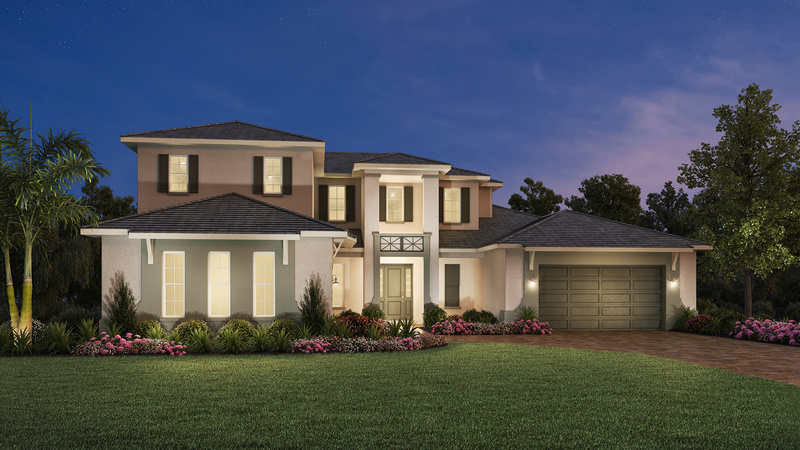 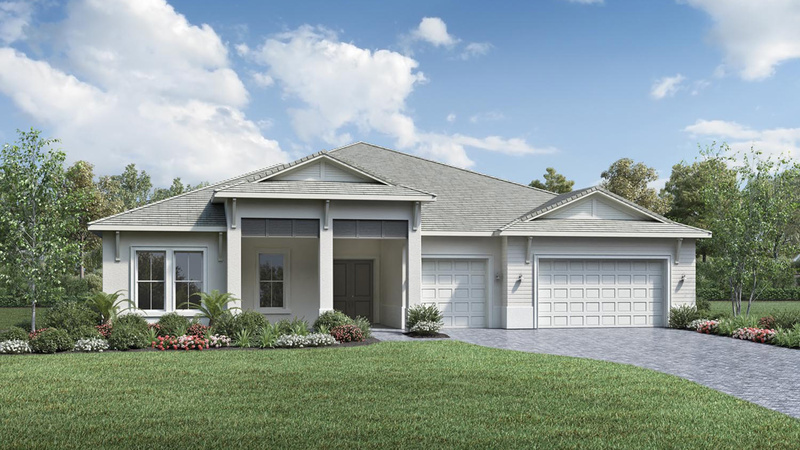 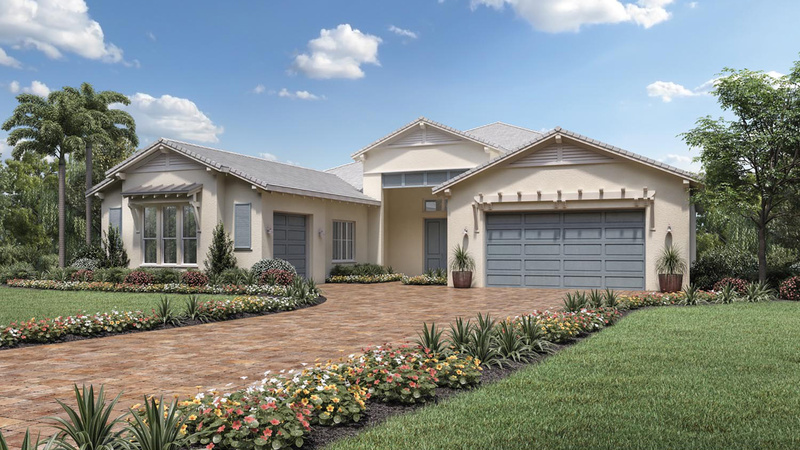 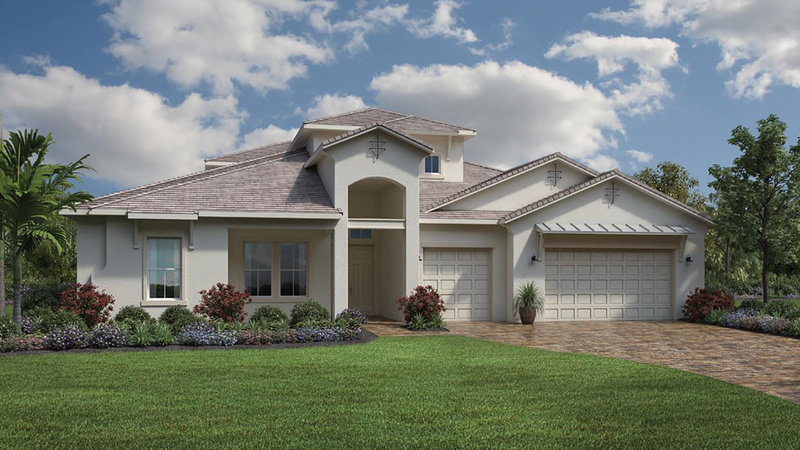 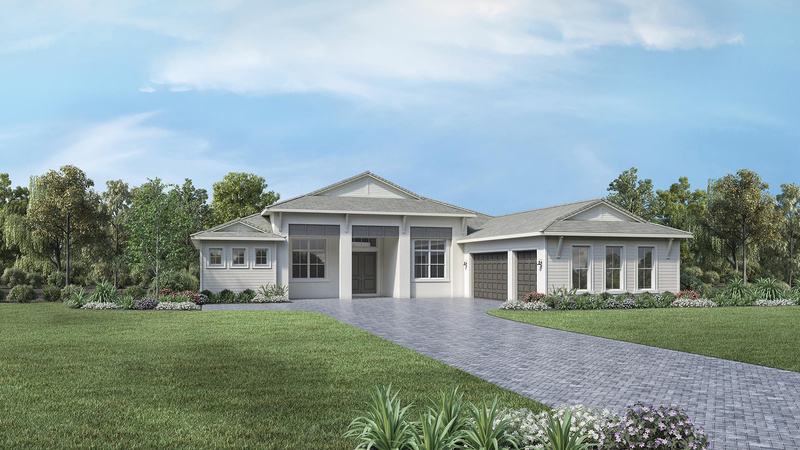 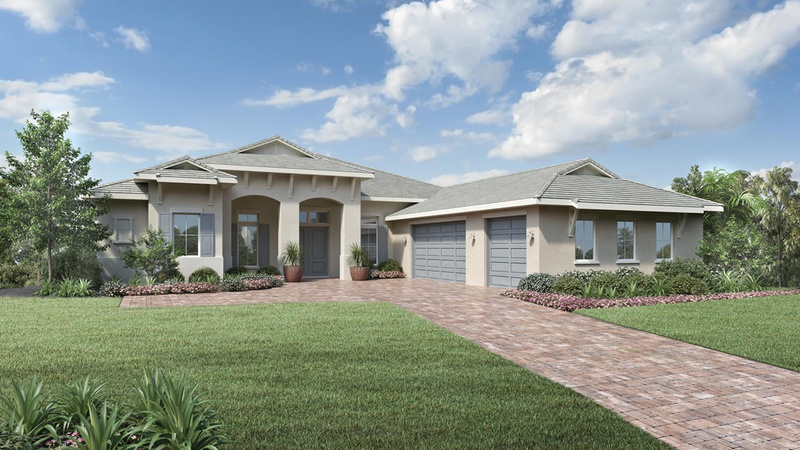 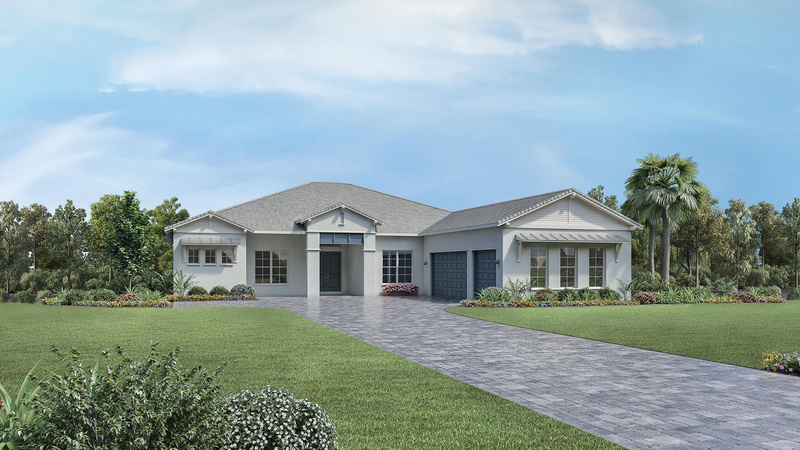 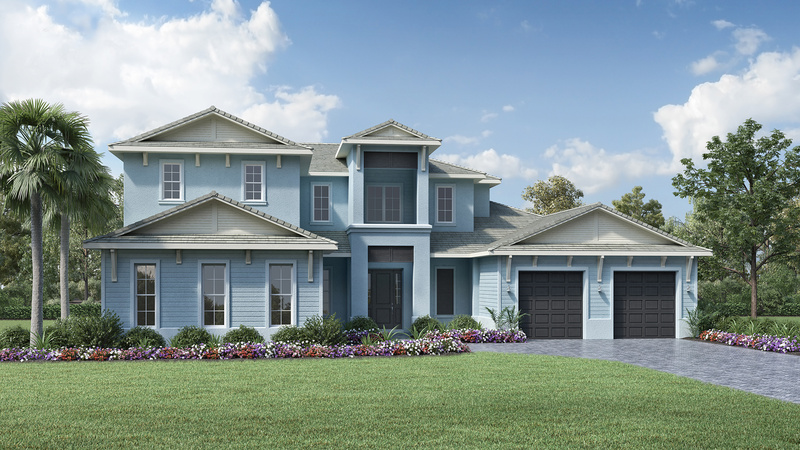 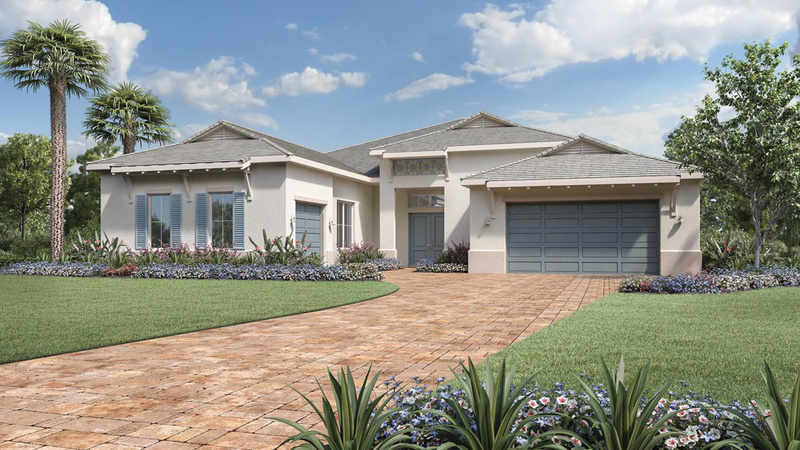 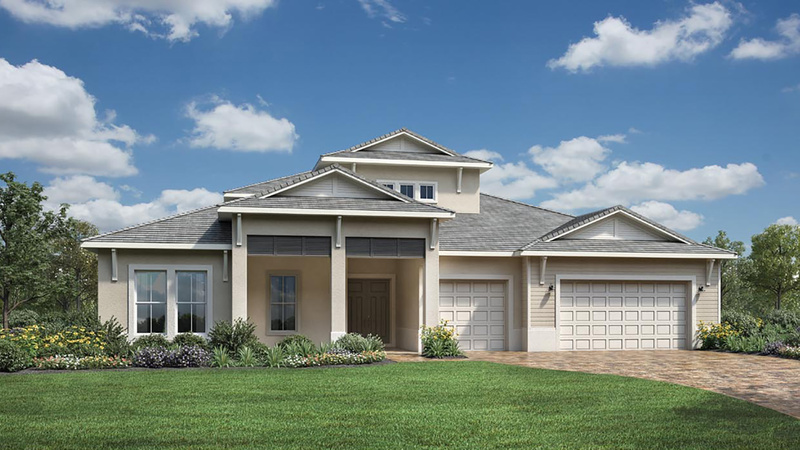 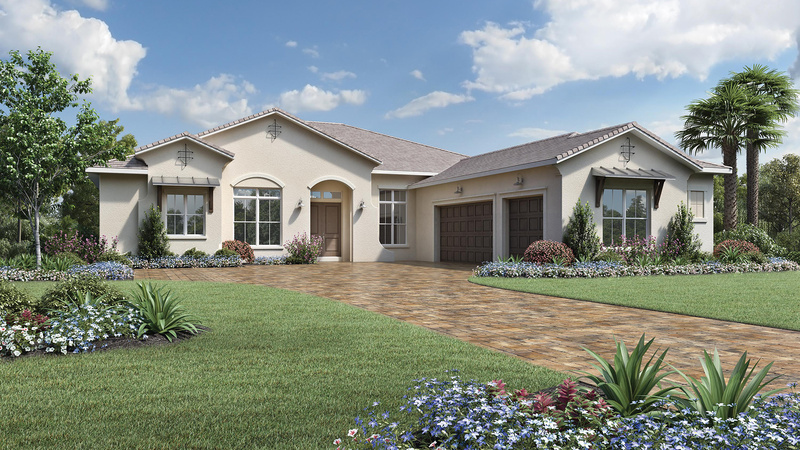 The Sandpiper Elite's inviting covered entry and foyer open onto the soaring great room with coffered ceiling, and a view of the desirable large covered lanai beyond. 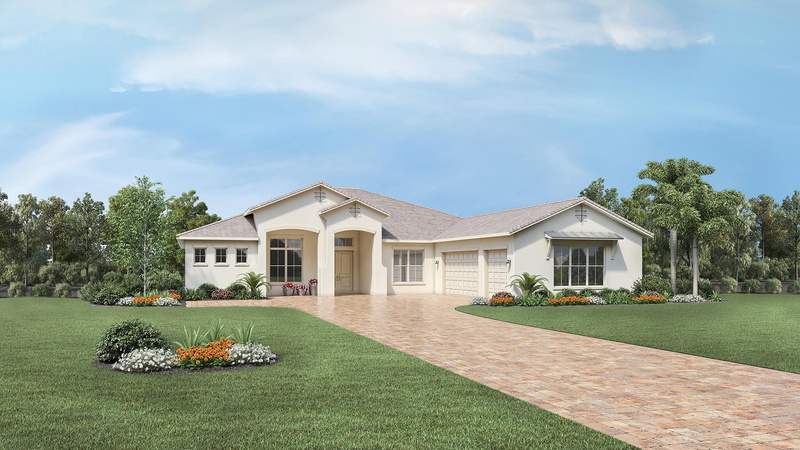 The well-equipped kitchen overlooks a sunny dining room, and is highlighted by a large center island with breakfast bar, ample counter and cabinet space, and roomy pantry. 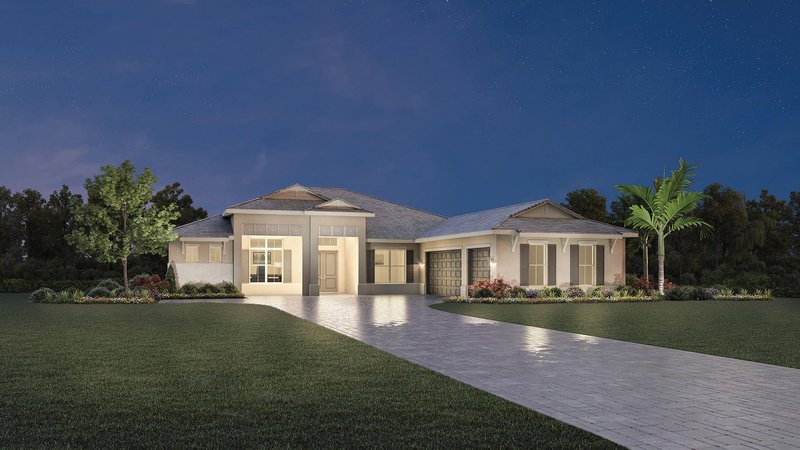 The elegant master bedroom is enhanced by a coffered ceiling, dual walk-in closets, and deluxe master bath with dual vanities, large soaking tub, luxe glass-enclosed shower with seat, linen storage, and private water closet. 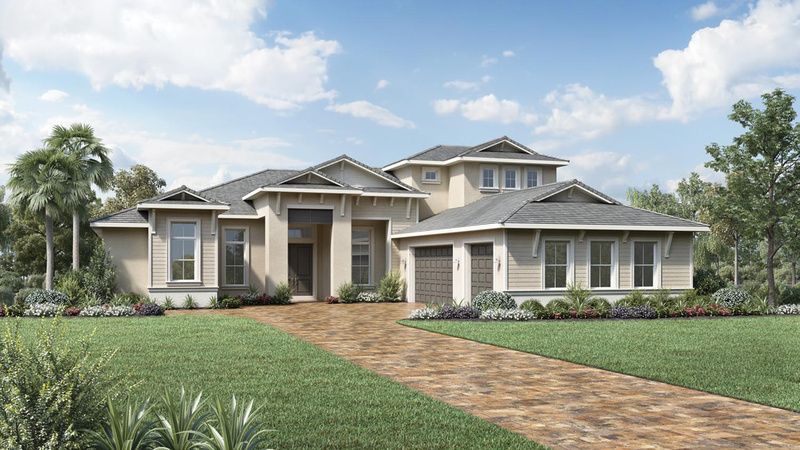 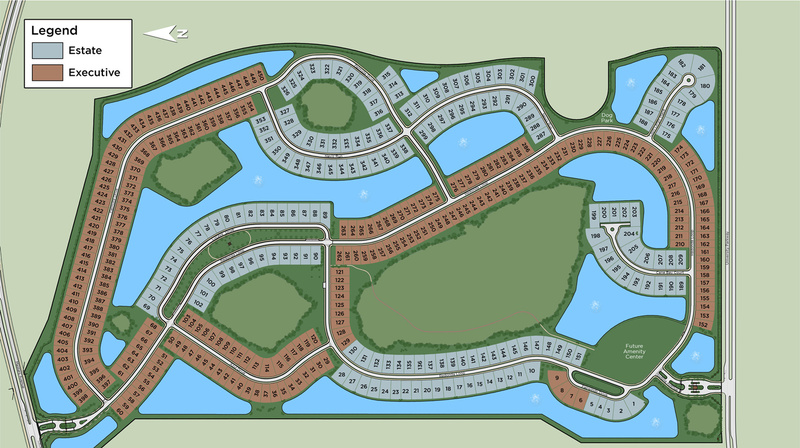 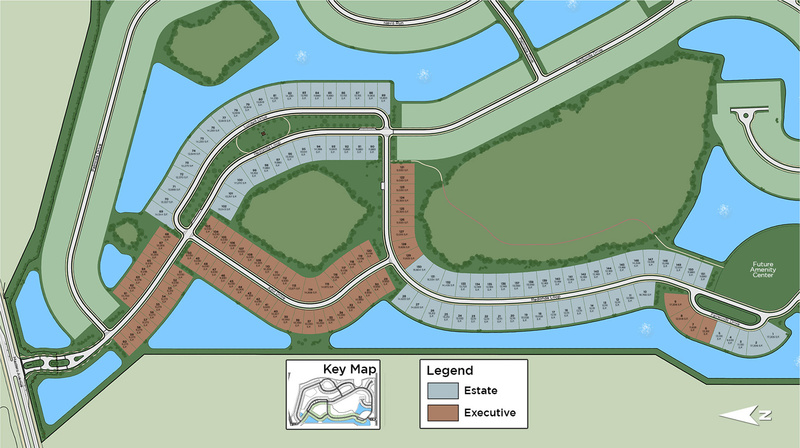 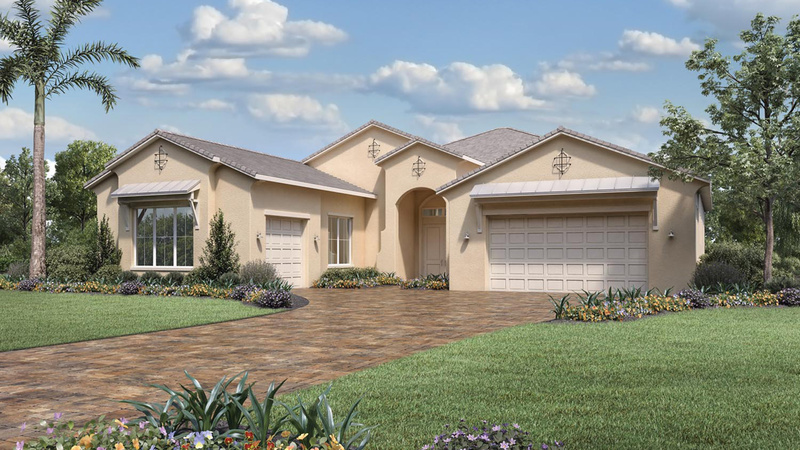 Secondary bedrooms feature walk-in closets and access to two full hall baths, one conveniently at the rear of the home. 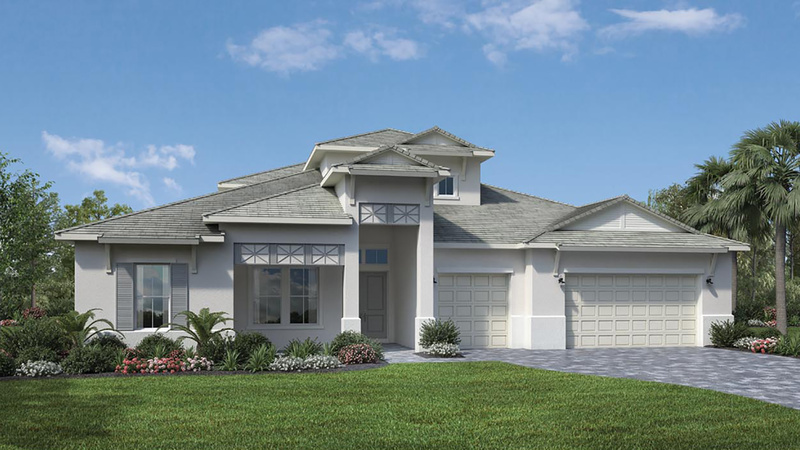 Secluded on the second floor is a sizable loft with full hall bath access. 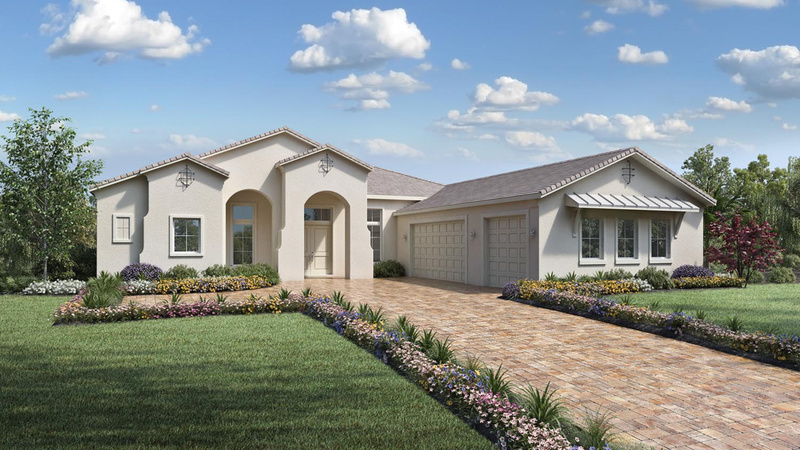 Additional highlights include a versatile study, thoughtful powder room, centrally located laundry, and additional storage throughout.